With Marvel’s well-oiled marketing machine beginning to operate at full tilt, today heralds the arrival of not one, not two, but four TV spots for Guardians of the Galaxy Vol. 2, James Gunn’s spacefaring sequel and one of the most-anticipated movies of 2017. 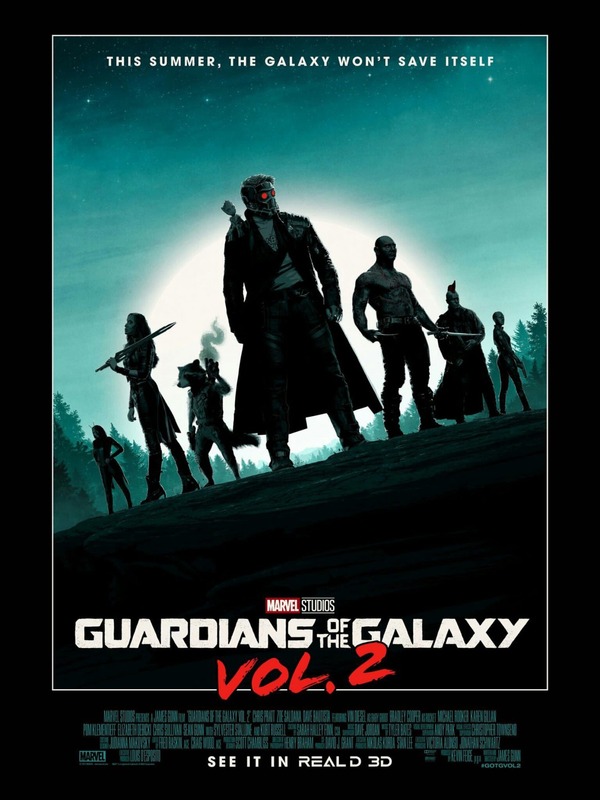 And at least so far, Guardians 2 is faring relatively well among critics – the early consensus deemed Gunn’s follow-up to be a touching, spectacular white-knuckle ride that fell just short of its beloved progenitor – and box office analysts estimate that Star-Lord and the gang are poised to pull in around $85m-$100 million from international markets this coming weekend. Those figures make for an impressive opening overseas, and it’ll be interesting to find out how that momentum carries over to the sequel’s domestic release on May 5th. Three years ago, and in spite of naysayers, Guardians of the Galaxy managed to rake in an eye-watering $773 million during its theatrical run, with all signs currently pointing to an even bigger haul – over $1 billion, perhaps? – for GotG Vol. 2. Circling back to those promos, though, up above you’ll get another look at Chris Pratt’s Star-Lord rallying the team. The remaining three TV spots are embedded below, along with the striking new poster for Guardians of the Galaxy Vol. 2, which features all of our cherished misfits standing next to the sequel’s key supporting players: Yondu, Mantis and Karen Gillan’s Nebula, who was originally earmarked to meet her maker in the 2014 original. Now, the Scottish actress is even lobbying for a spinoff movie involving her blue-skinned mercenary. Guardians of the Galaxy Vol. 2 opens Stateside on May 5th. As for our own review, WGTC critic Matt Donato will be taking point, so stay tuned to the site over the coming days for that final verdict to go live. Meanwhile, you’ll be able to locate the remainder of today’s media dump down below.